The newly declassified materials show the U.S. Air Force had a contract with a now-defunct Canadian company to build an aircraft unlike anything seen before. If the plans had followed through to completion they would have created a saucer, which could spin through the Earth’s stratosphere at an average top speed of about 2,600 miles per hour. Wow. It was also designed to take off and land vertically (VTOL), using propulsion jets to control and stabilize the aircraft. Admittedly the range of 1,000 nautical miles seems limited in comparison to the other specifications – but if you’d hopped on the disk in New York it could’ve had you in Miami within about 24 minutes. It begs the question – why was the project dropped? 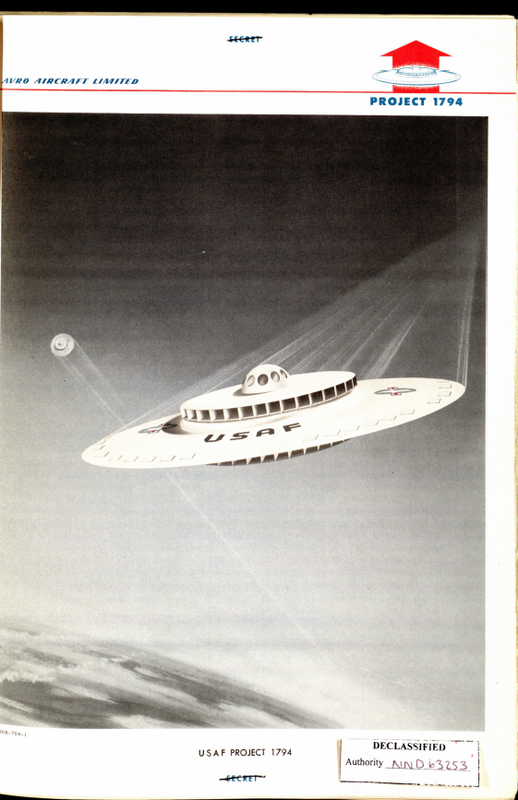 Why aren’t wars being fought with flying saucers? The cost of continuing to prototype was estimated at $3,168,000, which roughly translates to about $26.6 million in today’s money and wouldn’t have been an insane price for such advanced technology. The problem with the other flying saucers developed under the same program (see video) is pretty clear. They didn’t get anywhere near 100,000 feet in altitude, more like five or six if you were lucky – so the military finally pulled the plug in 1960.